A Hernando County woman grabbed her boyfriend's testicles to get him to stop choking her, according to law enforcement. 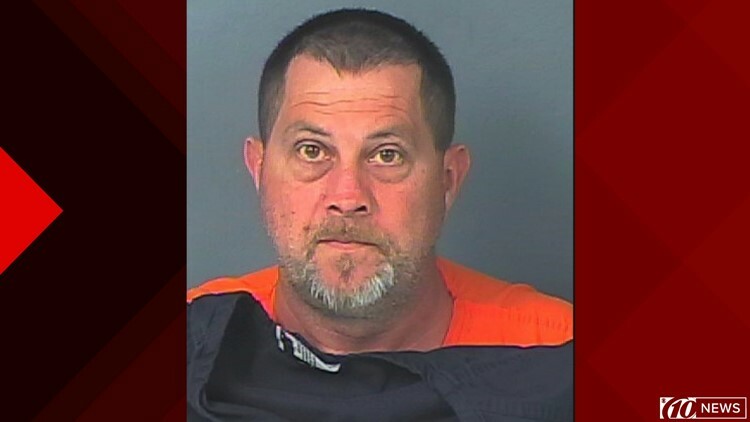 Early Saturday morning, the Hernando County Sheriff's Office says Daniel Westfall, 50, drunkenly returned home from a friend's house and began peeing on the floor of his Dade City home. His girlfriend woke up and began asking questions, but he is accused of beginning to argue with her. When she tried to push him off, investigators say he bit down on her index finger and would not let go. The arrest affidavit claims she cried several times for him to let go of her finger and neck, but she eventually grabbed his private area to make him release his grip. At that point, she reportedly called 911. The sheriff's office said Westfall smelled like alcohol and was having trouble standing up when deputies made contact with him. Westfall originally admitted his girlfriend grabbed his testicles but denied hurting her, according to the arrest report. He was then arrested and taken to the Hernando County Detention Center, where he is being held without bond. On his way there, he "spontaneously stated and admitted that he did bite her," the arrest report said. The couple had been living together for a year, according to authorities.